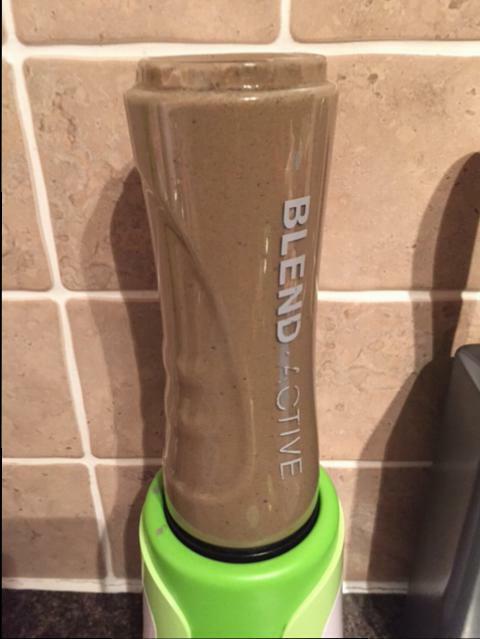 One of my goals this year is to ‘eat more veg’ so today I thought I’d try out a new smoothie recipe. I’m going to have a green smoothie most days to ‘get my greens’. 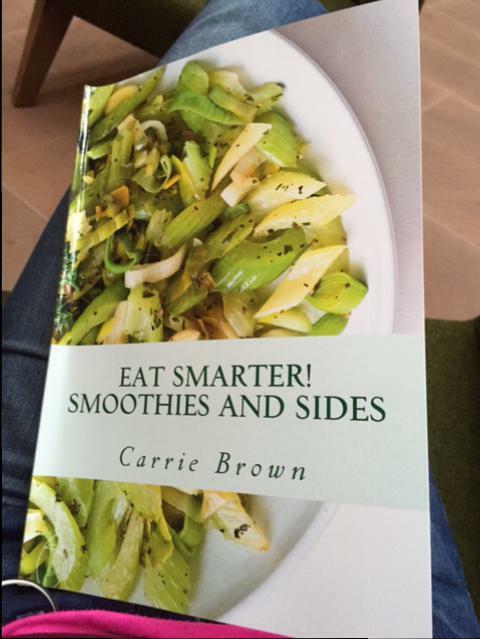 I got a new book, written by Carrie Brown, the English chef who went over to America and hooked up with Jonathan Bailor and his Smarter Science of Slim. There are a lot of good recipes, to make veg great and make some good green smoothies. It’s got a whole section on ‘green smoothies’ so here’s one of them (which turned out to be mainly brown)… which I added a few more veg into. It’s not specifically to the recipe in the book, but it’ll do. (I HATE celery by the way, but I figured I could hide it). 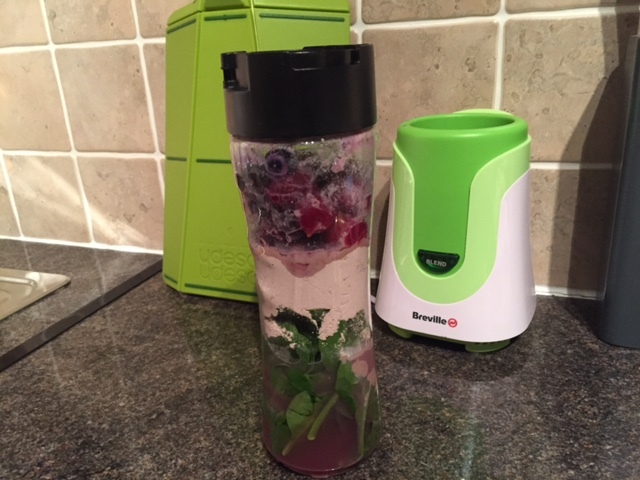 I had mixed berries / summer fruits, but I think I’ll just get frozen raspberries next time – less bits. You have quite an influence! I looked up your active blender on Amazon after reading this post yesterday morning and it was selling for £20 (a saving of £9.99). When I went back to look at it last night it had gone up to £24.99! Silly me for hesitating :-). I have a Magic Bullet but don’t find it so good for chopping frozen fruit. How do you find the Breville one? Hi jill. 🙂 so far so good with the breville one, its pretty sturdy. And even if it does break through use, its pretty cheap to replace. Well worth the money i say.